Ubuntu is one of the most popular Linux distribution these days( has been on top of distrowatch site for quite some time now) especially among Linux Newbies , and Ubuntu has inspired a number of people to jump from Windows to Linux . However because of many licensing restrictions and closed source nature of many popular applications a number of applications / codecs are not installed by default in Ubuntu though Ubuntu community has done considerable work in this direction with inclusion of wizards in new Ubuntu 7.04 easing installation but still it is somewhat difficult .This is major hindrance for people jumping from Windows to Linux when they don't know how to install extra functionality to Ubuntu . Now applications like Automatix and Easyubuntu have eased this but still if you would like to follow different approach here is how you can install additional functionality on Ubuntu . In this article i try to describe how to install Codecs / Applications easily on Ubuntu 7.04 installation making transition from Ubuntu to Windows easy , and making Ultimate Ubuntu Desktop . launch Synaptic Package Manager (System -> Administration -> Synaptic Package Manager ) , then in Synaptic package manager go to (Settings -> Repositories ) you will find window like this . Ensure that all the check boxes are marked leaving source code(if you want to you can enable this also but you are not going to need this unless you are software developer) the dialog box should look like this . Now your system should be ready for installing extra codecs . IMPORTANT : In General i don't recommend adding unknown repositories it is risky and could pose a security risk to your computer , however the repository i am adding above is official repository(Medibuntu) whose reference i got from official Ubuntu website so you should not worry about adding repository i mentioned above . w32codec is a collection dll files from windows that helps in decompressing major video/audio formats allowing them to be played flawlessly on Linux Media players , however because of legal issues associated with it is not included with Ubuntu . To Install the package type the following command in the terminal window(assuming repositories are in order and they are set up correctly as described above ),keep in mind that codecs are downloaded from Medibuntu repositories and not Ubuntu hence be sure you have activated the repositories correctly as described in first step of this article. and to install addition more plugins type the following command in the terminal window . Now Ubuntu by default dosnt come with many popular media players like Xine,Mplayer and VLC preinstalled so you can install them using the following command . "sudo aptitude install xmms xmms-mad xmms-skins xmms-wma mpg123 banshee amarok"
Macromedia Flash player is not installed by default but since we would be surely needing it while browsing the net , installing it is necessary since Macromedia flash has more or less became an integral part of internet browsing experience . After completing above step restart Firefox to make changes take place permanently and type about:plugins in the address bar to see if plug is installed correctly. Press New and in windows that appears next in Name type Beryl Manager(or what ever you like) and in command type beryl-manager . Now every time gnome starts Beryl Manager should load automatically. 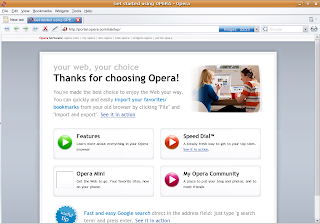 Similar to Macromedia Flash , today Java applets and applications have become a integral part of internet browsing experience however java runtime is not installed by default in Ubuntu to install java Runtime Environment with plug in for Mozilla Firefox type the following command in the terminal window. 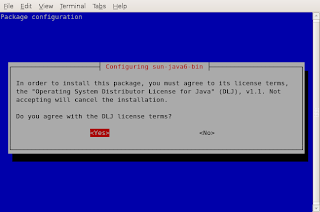 After downloading is over you will get a screen like this just accept this license by pressing ¨Yes¨ button to complete installation, after this restart Firefox and type about:plugins to check whether sun java plugin is correctly installed. 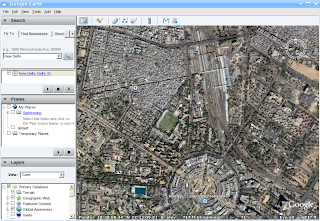 Two of the popular Google application available on Windows Google Picasa and Google Earth are also available on Linux platform. While Google earth is a native Linux application , Google Picasa uses Wine to run on Linux platform. To install Google Earth type the following command in the Terminal Window (Application->Accessories -> Terminal ),keep in mind that googleearth is downloaded from Medibuntu repositories and not Ubuntu hence be sure you have activated the repositories correctly as described in first step of this article. After downloading is over you will get a screen like this press ¨Yes¨ to accept the license agreement and complete software installation. 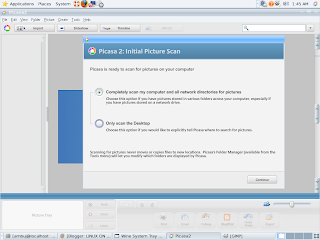 Google Picasa is a nice Photo Management software that offers some really neat features , however Picasa is not a native Linux application but runs on Linux atop application layer called Wine which allows many Windows application to run flawlessly on Linux . Real player is one of the most popular media player on Windows Platform, now Real Player for Linux is not as feature rich as one on Windows platform but still it plays real media files and some other formats quite well . It´s interface is clean and usable. for installation to begin . Follow the instructions as presented to complete installation . After installation is over you can launch Real Player from (Application -> Sound & Video -> Real Player 10 ). On Ubuntu/Linux a number of good pdf reader exist that are quite functional and less resource hungry as compared to Adobe Reader , However if you still want to install Adobe Reader 7.0 you can either download package from adobe website or type the following command in the terminal window . However note , the following command would only work if Medibuntu repositories are configured properly so be sure you have installed it correctly as described in the beginning of article . Downloader for X is a nice download manager that allows downloading files from Internet , pausing them and downloading them later . It also supports splitting file into number of segments so that files could be downloaded quickly . However one thing that i didn't like about is it's interface is somewhat difficult as compared to some of the download manager available on Windows. Anyways to install " Downloader for X " type the following command in the terminal window. ¨sudo aptitude install d4x "
Installing azureus : - Azureus is one of the more popular bittorrent client available on both Windows and Linux , based on java it is one of the most powerful bittorrent client. Skype is a popular VOIP application , allowing one to make voice calls over the internet . To install Skype type the following command in the Terminal Window (Application->Accessories -> Terminal ),keep in mind that Skype is downloaded from Medibuntu repositories and not Ubuntu hence be sure you have activated the repositories correctly as described in first step of this article. To install Microsoft True Type fonts on Ubuntu type the following command in the terminal window . Now Fonts would automatically be downloaded from the internet and installed . Here is how you can install some other useful applications on Ubuntu Desktop . Windows XP lacks support for reading and writing files to Linux file system however external utilities like free Ext2 File system for windows allows Windows XP to read and write files to a Ext2 , Ext3 file system however ReiserFS file system is not supported . RAR is one of the very widely used archives on Windows , however unrar tool to decompress RAR is not shipped with distribution and has ti be installed manually. Why on earth would I want applications to play audio and another 5 to play video? I'd like ONE audio player and ONE video player thank you very much. Thirteen reasons why Ubuntu should not be called user friendly. They were just stated above. If you want a user friendly "Buntu" try Linux Mint, or Mepis. The above distros do it all for you. I agree not so user friendly out of the box. I did a fresh Ubuntu Fiesty install today, the only thing that looked interesting was Automatix2 to support all the media codecs. But PClinuxOS 2007 is still the easiest to use everything working out of the box! there's a difference beween user friely and stupid-person friendly. Adding one or to repos doesn't kill anyone. btw I use gentoo on laptop and debian on server. why did you remove my earlier comment? I was just offering some feedback. I enjoy reading your articles, but not when there are so many different fonts, sizes and styles used. Hello it was intentionally removed since i tried correcting the formatting of the site anyways if you feel i should keep these comments i am not going to remove them from future post. I disagree with (most of) the other comments. This article is great and makes it easy to set up some things lacking out-of0the-box with ubuntu. Whilst I didn't use all of them, some were great and easy. I agree with the above post, this guide is an excellent example of a ubuntu user trying to help other users with some of the most boring things to do with a fresh install. Keep up the good work, look forward to more guide from you. Great article! I'm not sure what everyone else's problem is. I've used other "user friendly" distros at work and home and this one is by far the best. Only a couple of hours new to ubunto, and to linux. To be honest, didn't know what to do with it. Then I found your webpage. Tried to run dpkg --configure -a, but then I'm told I need superuser privileges. Would really appreciate some help. Awesome Step-by-Step!!! Exactly what I was looking for!! Thanks so much!!!!!!! Great step by step instructions, thank you very much. Great step by step, thanks alot. Thanks for the step by step, I'm an absolute noob at Linux and Ubuntu. I've seen where a lot of amazingly cool things can be done with beryl, but how do I get the desktop to be a 3d cube etc... Thanks for any help. It's a nice post to get started with ubuntu, but please recheck the links. The realplayer link was dead for example, and googleearth was not a valid package name. Guys, this is by way so far, what I/you need, it's easy and works 100% good, for some reason it send an error while i try to install Real PLayer, it's worth it! I am astonished by all the complaining at the top of the comments. I have used many distros of Linux and I think Ubuntu is by far the most user friendly, not to mention cool. Thank you for the great article, however using powerpc and Linux, I am unable to get some of the functionality like flash, and google earth. The joker that commented about using mepis etc. is a true idiot. Thank you very much. Libdvdcss2 did not download but everything else I wanted worked perfectly. Thank you for suggesting these programs. Some I know about, but some were new and I appreciate the chance to try them out. I'm not a computer expert and I'm relatively new to Linux. I can decide what I want and don't want, but I think sharing ideas is part of what makes Linux fun as well as useful. In the above link .htm(l) is missing. So it is not working. did you get 4 different wallpapers working on beryl? (desktop viewport manager) if you did, please post how you did it. I'm goin mad searching for it. To the folks at the top who say that this is too many programs, you'll know that not every program meets a user's needs. The fact that these are all included gives a brand new user a chance to try them all out, and delete them all later if they don't like certain ones. Great article, in the true spirit of Ubuntu. I must say if you don't want a program don't download it. I am a newbie at linux. Except real player all went well and I thank you ever so much for the help. Thanks again ibbill from Canada. Thanks a lot, I installed Ubuntu for the 1st time about an hour ago and now I have all the essential programs. The only things that didn't work for me was the DVD playback support and the Real Player (something to do with the wrong url) but I'll sort that out when it's needed. Those of you who are commenting that ubuntu 7.04 is not user friendly are n00bs. There are so many things that ubuntu could not come with that would make your n00b lives pure hell. What do you people expect for free, it's not like Windows who has literally billions of $ of cash to employ people, everything you see on Linux is down to damn good hearted people, be greatfull of just don't use it and stick to money driven Windows. just coz its free doesent mean people should shut up about ubuntu downsides, which are many. i can barely install software and when i do i cant find it or run it, for the past 2 days i have been trying to make linux play mp3 files, i tried a few things that work for people but they dont work for me, its like i have to spend months in front of it to understand how it works, you can call me a noob, but you can also call ubuntu crap.